If you’re into boating and water sports, you know how fun it is to have a smooth, calm body of water to play on. Having a glassy surface makes performing your cuts and tricks easier, while also allowing you to have more confidence to try new tricks. Plus, after pounding through heavy chop on a kneeboard, wakeboard, or slalom for a few minutes, you’ll feel like an arthritis sufferer. What if you could find out how to help make your water chop-free with one simple boating technique? Impossible? Nope. How Do You Help Keep Your Water Chop-Free? Ironically, one of the primary reasons that the water gets choppy in the first place is the way that many boat drivers turn around to get their rider after he/she has fallen. 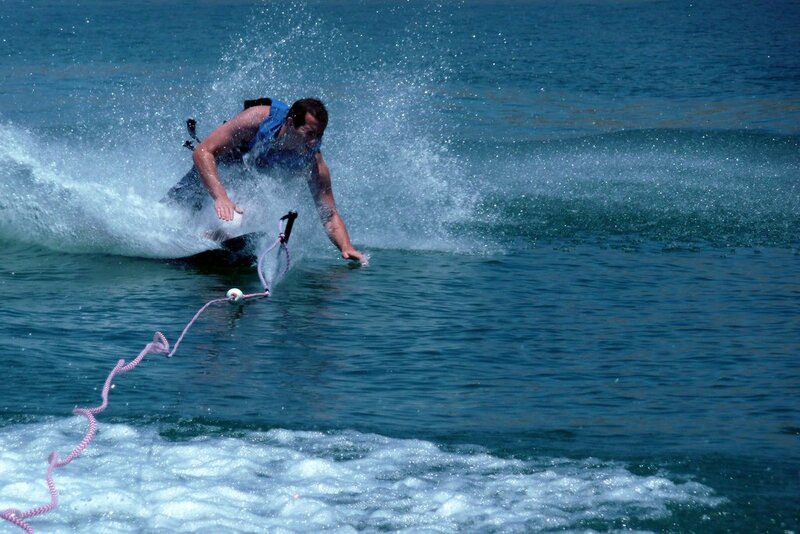 Typically, after the rider falls, the driver immediately powers into a big turn sending wake out in all directions over the water. The driver doesn’t realize it, but they’ve just made the water a whole lot more choppy and a whole lot less fun for themselves, their rider and everyone else on the water. So, what’s the right way to pick up your fallen rider? Stop – As soon as your rider falls, immediately stop your boat. Wait – Wait a few seconds for your boat to come to a full stop. Turn & Idle – Once your boat has stopped, slowly turn your boat around and idle back to your rider. If everyone on the water performed this simple technique when their riders fell, it would be a whole lot more fun for everyone on the water. 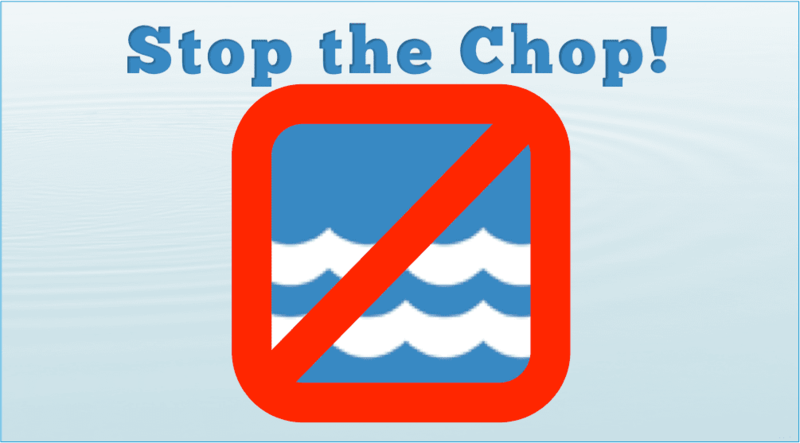 Spread the word and help us stop the chop to create a chop-free future! Was this boat tip helpful? If you found this boat tip helpful, please share it! Also, if we can ever help you put a new boat cover, bimini top or other accessory on your boat, let us know. If you mention this blog post when you instant message or call in your order, we’ll give you an additional 10% off!